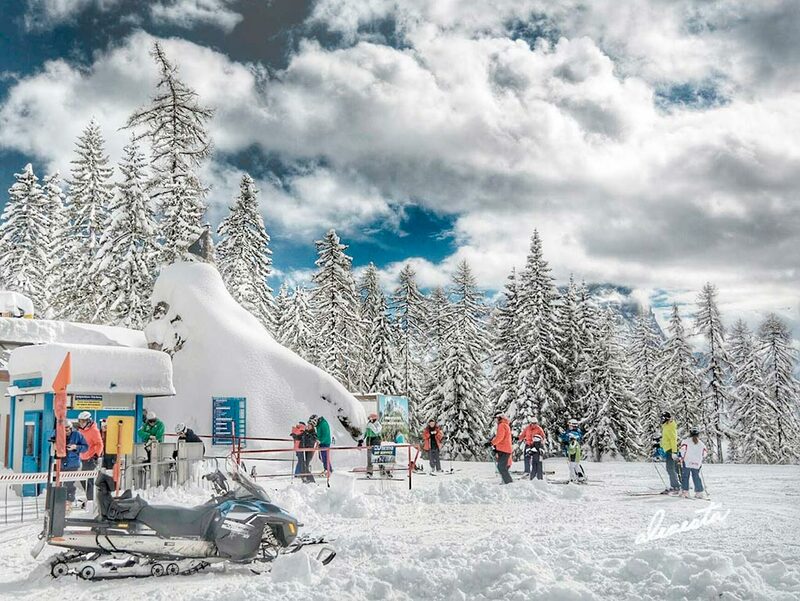 The ISTA company nowadays provides the skiers with 9 ski-facilities, among which 4 detachable chairlifts, 4 fixed-grip chairlifts and 1 j-bar surface lift. 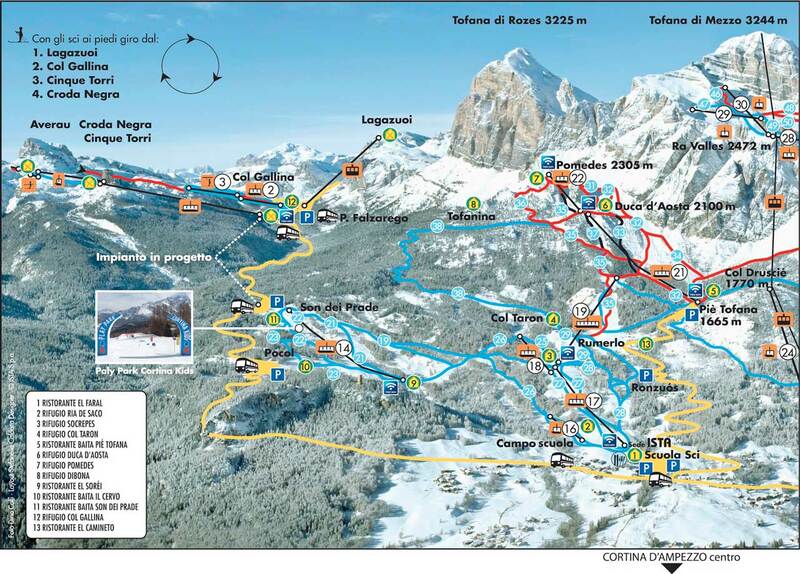 Socrepes is the easiest and most accessibile way to get to the ski facilities on the western side of Cortina. It is 2 km from the center of town, on the road that goes to Falzarego Pass. It offers big parking places, also for buses. 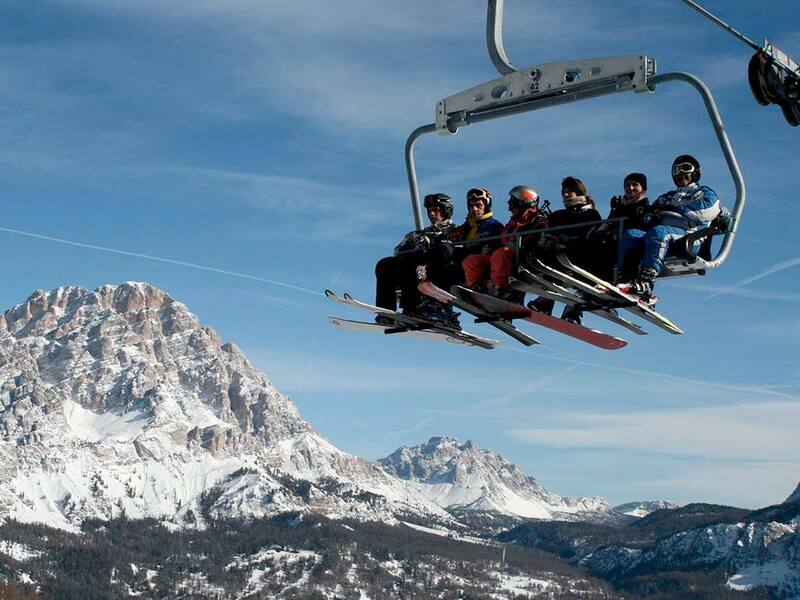 There are also ski and equipment rentals and an office of ski school Scuola Italiana Sci Cortina. Two-seater chair lift with mobile boarding carpet, extremely simple to use. Suitable for whoever is engaging in their first approach with the snow. Situated in the immediate vicinity of the Socrepes parking lot and is reached by a practical and modern treadmill. Commonly known as the Socrepes chairlift. Four-seater with boarding carpet and padding to make the seats more comfortable. This lift, which connects the Socrepes zone to that of Pocol, replaced the ski lift in the winter of 2010/2011. Four-seater chairlift for the Pocol zone. 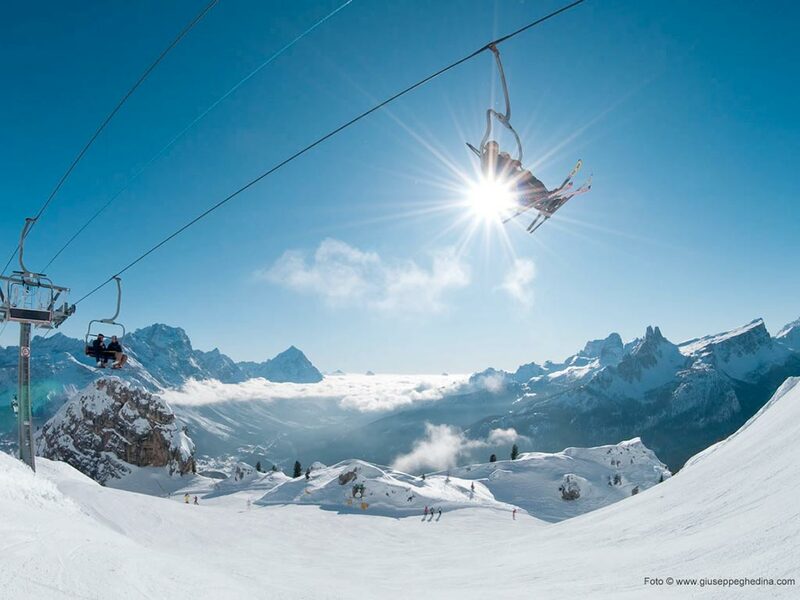 It allows skiers to ski in a real paradise for beginners and non. Up-hill is even faster and easier thanks to the chair-lift with automatic boarding system, the Tofana Express. 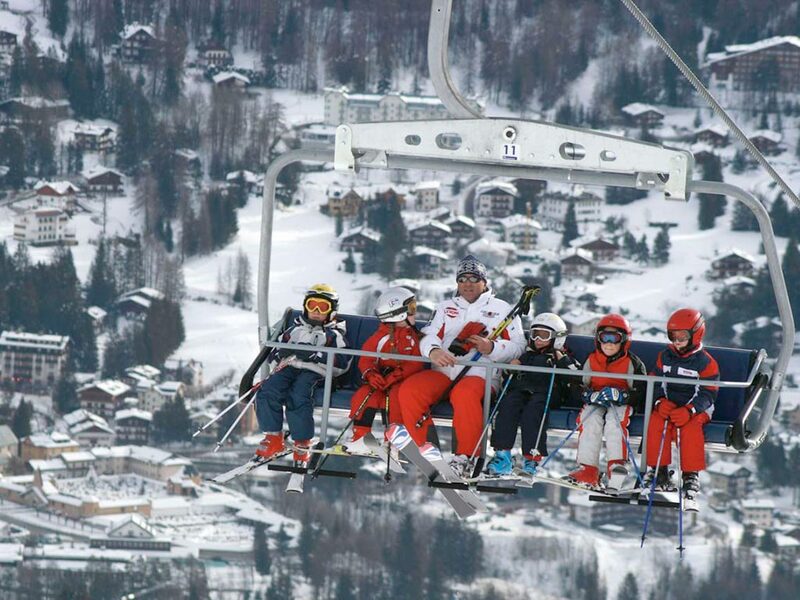 t is the first six persons chair-lift in our region. Thanks to a speed of 5mt/sec, you will be “launched” in little more than 4 minutes from the 1474mt s.l. of the base station of Roncato to the 1753mt of the Festis station. Capacity: 2800 persons per hour. 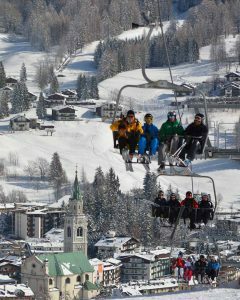 Is a four-seater, Tofana’s first chairlift, which is commonly known as seggiovia Piè Tofana for the place in which it is located, namely at the feet of Tofana. One may reach it by car and its use is not reserved solely to skiers, but also to whoever wants to suntan while enjoying the splendid view and eat and/or sleep in the mountain hut (also in the summer). 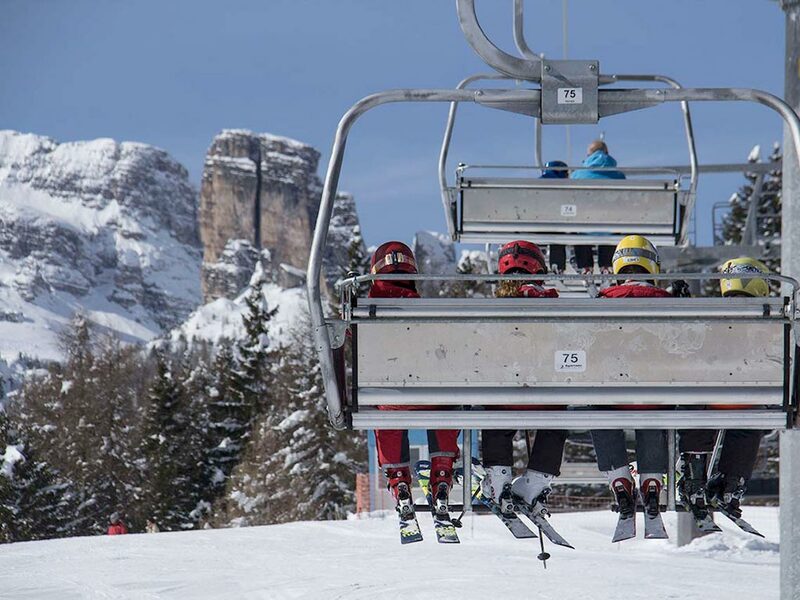 Three-seater chairlift found at the arrival of the Piè Tofana chairlift. Each year it transports the athletes of the World Cup to the starting point of the Downhill competition, the fastest discipline of the 2-3 days of racing. Here at 2300 meters, we assure you that the view is decisively breathtaking! As in the last case this chairlift is not exclusively for skiers and is also open in the summer. 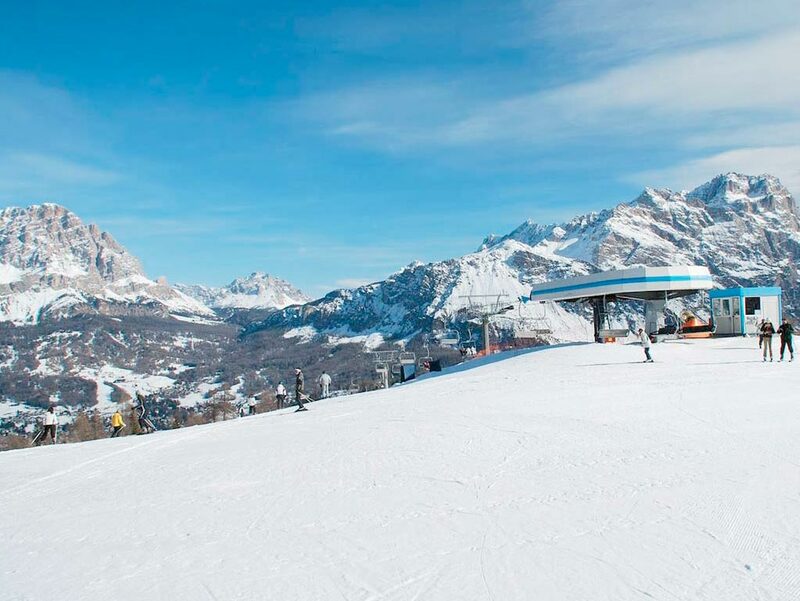 In Pocol area you can relax on the sunny and large slopes “invented” by the unforgettable olympic champion Eugenio Monti, the “flying red” of the italian bobsleigh. 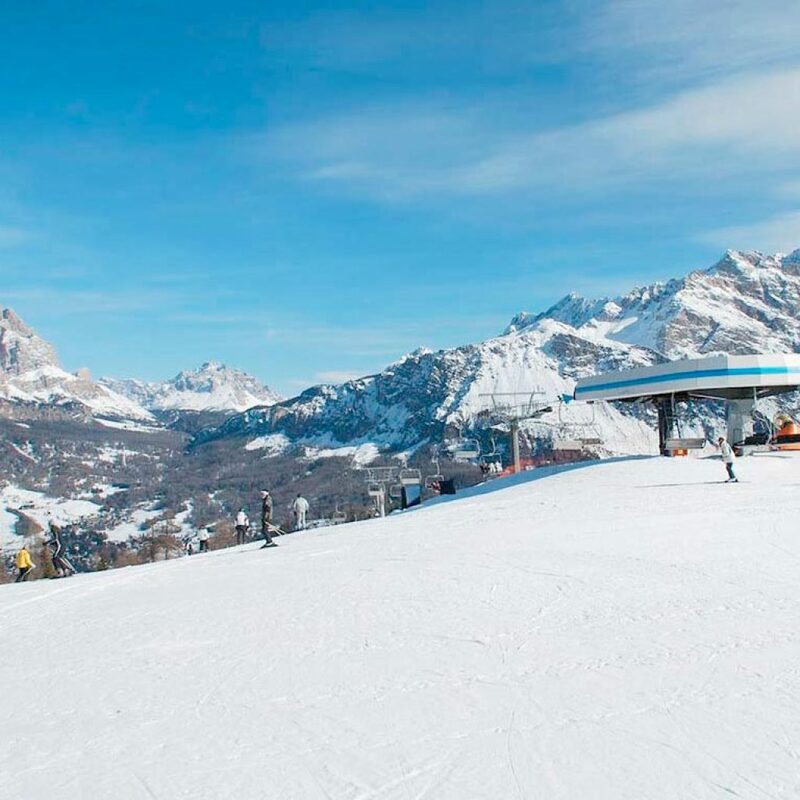 In Son dei Prade, at the top of the modern four-persons chair-lift Olimpia, it is possible to catch a free ski-bus to Falzarego Pass, which runs every 15 minutes, and is free of charge for who holds a Skipass. The Col Gallina, 5 Torri and Falzarego are connected through the Croda Negra chairlift. 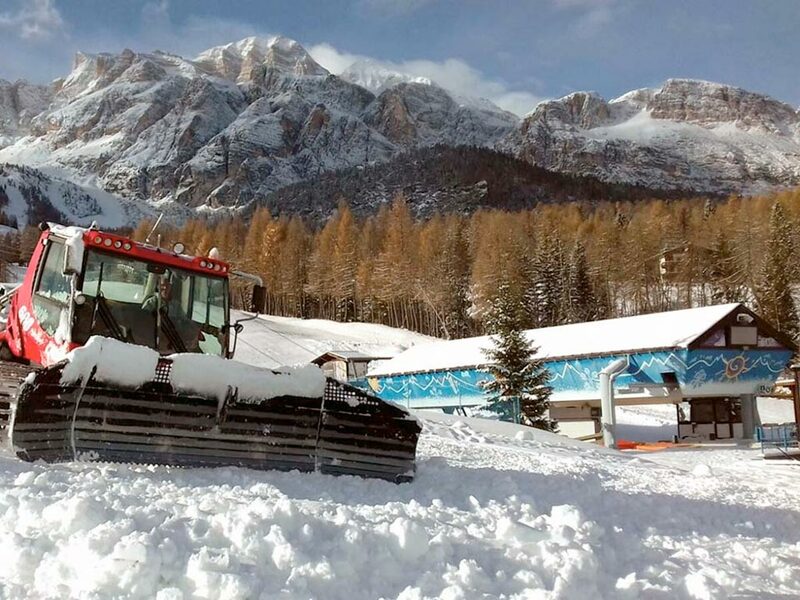 ISTA manages the Falzarego chairlift and Col Gallina skilift. 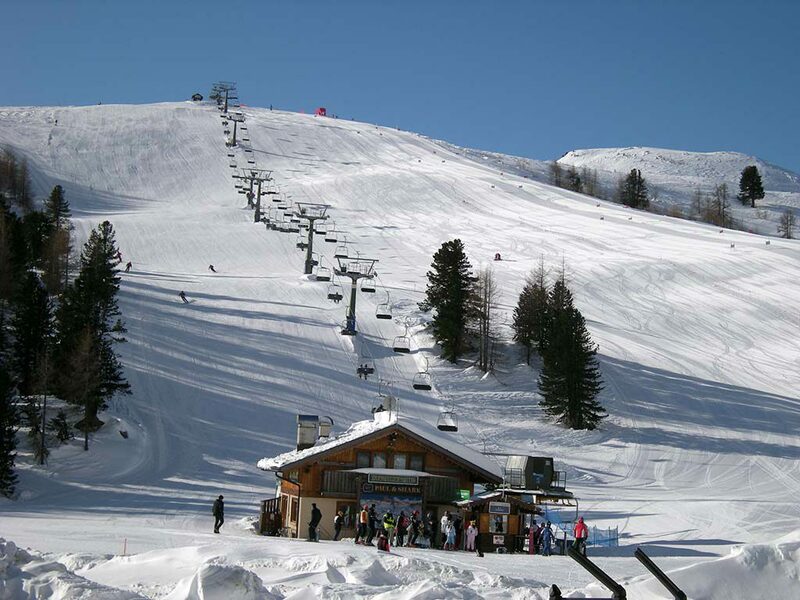 Col Gallina is the best place to organize the first ski runs, races among friends, colleagues or Ski Clubs, with an automatic timing system.